La Roche-Posay EFFACLAR DUO[+] is a multi-award winning acne treatment and anti-blemish cream, specifically formulated for oily and blemish-prone skin. Designed to exfoliate, kill bacteria, reduce inflation and unblock pores, to give a clearer more even skin texture and controlling shine. Tested on sensitive skin, blemish-prone skin and acne-prone skin, La Roche-Posay EFFACLAR DUO[+] is suitable for all skin types. Previously called LA ROCHE-POSAY EFFACLAR DUO[+]. CEW Beauty Awards 2015, Best New Skincare Treatment Product – Mass, Winner. Stylist Skincare Awards 2015 - Best Blemish Treatment, Winner. LA ROCHE-POSAY EFFACLAR DUO(+) Corrective Unclogging Care Anti-Imperfections Anti-Marks 40ml was found on 5 websites and was price compared using EAN: 3337872414084. 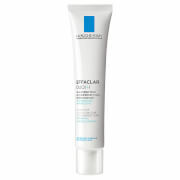 The cheapest LA ROCHE-POSAY EFFACLAR DUO(+) Corrective Unclogging Care Anti-Imperfections Anti-Marks 40ml is shown as the main item, prices range from £10.66 to £16.00, excluding delivery. Price comparison based on price and delivery charges, with any valid discount codes being applied, is shown in the table above. Prices and information correct at the time of publication.